Have you been dreaming of your wedding day since you were a little girl? The big dress, the amazing wedding venue, the perfect groom, of course, the music, the decor, you’ve thought of everything to make the day special. But what would set your big day apart from the rest? A location that is out of this world — well, at least out of the United States. Not everyone can have the wedding in Bali, but a girl can dream, right? A beach wedding is hard to top, but a beach in Jamaica takes the cake. Imagine a wedding with white sand, crystal clear water, and a mellow vibe that can’t be beaten. 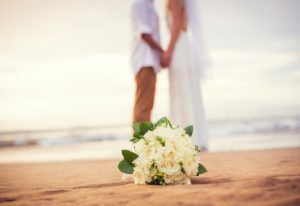 Walk down the aisle with a flowy dress, feel the sand in between your toes, walk to your groom dressed in an off-white, and say “I do” with the sun setting in the background. A beautiful wedding venue that is like no other. A mountain town in Italy? Yes, please! This town south of Florence features a 900-year-old castle that is more than a unique wedding venue. A ceremony here would truly make your fairytale wedding come true. 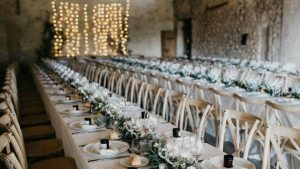 Overflowing with charm and romance, a quiet wedding might be just the thing you and your fiance want. And possibly the best part of this venue is that the wine can’t get any better! If you’ve seen the mountains in the United States, the mountain you’ll find in South Africa doesn’t compare. Outside of Cape Town, Stellenbosch features wineries, stellar views, and Mediterranean-style hotels for you and your soon to be husband to stay at after the wedding is over. If you’re looking for an outdoor venue where you can relax in the shade and sip a glass of wine, this is it. A beach town that has a completely different mood than Jamaica, this is a getaway wedding venue that you won’t want to leave. Getting married in the Piton Mountains surrounded by rainforest in the Caribbean Sea is an adventure that you can look forward to. And after you say “I do,” the real adventure starts. 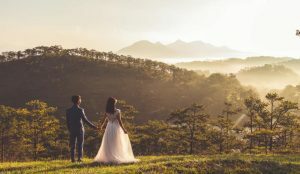 What’s better than getting married in the mountains of Italy? How about the countryside of France. About an hour south of Paris, your bachelorette party could be held roaming the streets of the most romantic city in the world! In this town, there is a wedding venue that is amazingly grand and beautiful — Chateau de Vaux le Vicomte. When you tell your friends you’re getting married in a chateau, they may not believe you! Even though we’re not hidden away in the mountains and we might not have a rainforest, Alegria Gardens can give you a small piece of Paris. 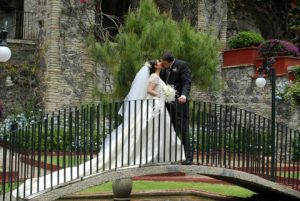 Our wedding venue opened in 2008 with the hope of giving our clients a beautiful, elegant, and dream come true wedding. 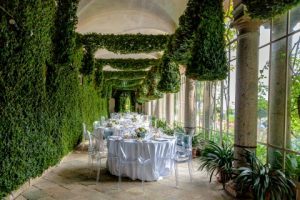 For a truly special atmosphere, our wedding planners can design a wedding that is everything you dreamed of, and more. Give us a call today to start planning your big day!